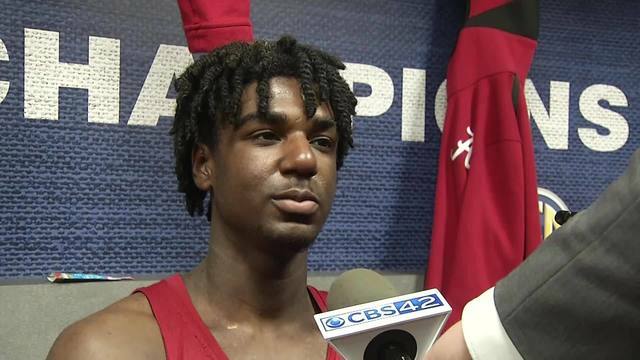 Tuscaloosa, Ala. (WIAT) -- For the 2nd straight day, a member of the Alabama men's basketball team intends to leave the program. According to multiple reports, Alabama freshman point guard Kira Lewis Jr. has entered the transfer portal. Lewis averaged just over 13 points per game for the Tide in his freshman season after re-classifying, so he could enroll early with the Tide. Lewis was the 2nd youngest player in the NCAA at just over 17 years of age. Lewis' name in the portal means that other college coaches can contact him about transferring to their program's, however it does not mean Lewis is officially leaving the program. The news of Lewis apparent departure comes one day after Senior point guard Dazon Ingram announced he was leaving the program as well.